The Youtube network SplayOne raises the importance of participating in the EuroPride parade. SplayOne takes part as a collaboration partner for the EuroPride 2018 festival. Every year, Scandinavia's largest Pride Festival takes place in Stockholm, and this year Sweden has had the opportunity to host the even bigger festival, EuroPride. The festival will be held in Stockholm and Gothenburg. To get more people to participate in the EuroPride parade, the Youtube network SplayOne has produced the film “Why I walk”. 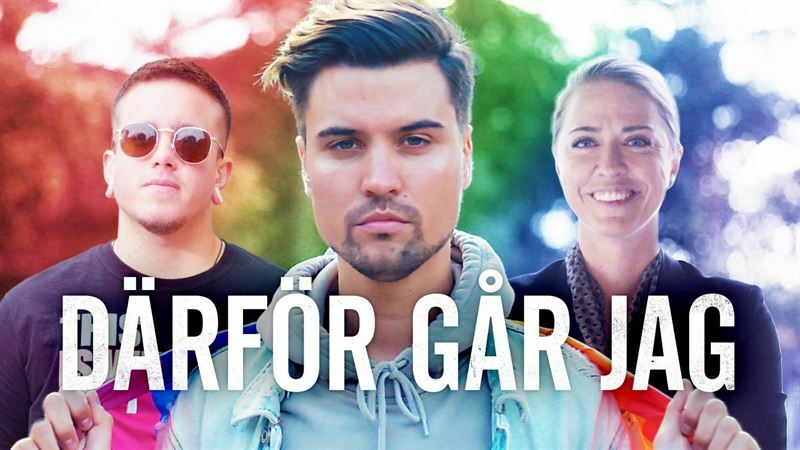 In the film we see the different HBTQ-people Harris Lukeman, Samuel Berggren, Louise Lillrud and the Youtube profile Jakob Detvarmindag Andersson when they tell their own perspective of why it is so important to participate in the EuroPride parade. - Because it is so immensely important to show that it’s just about love. Who I fall in love with, doesn’t really affect anyone else. I am truly honoured and proud to have been given the trust of participating in this film, getting to share a part of my story and to be an ambassador for Stockholm Pride and EuroPride 2018, says the Youtube-profile Jakob Andersson. Youtube is today a platform that many people find to be a free space where you can be yourself. This also applies to the HBTQ movement, where many testify that thanks to the platform you feel less lonely today, because it’s much easier to get in touch with people you relate with or look up to. The youtuber Jakob, the ambassador to the parade, is witnessing what youtube has meant for him, and also what his followers who continuously reach out to him have told him. - YouTube and social media have been a huge support for me in my own journey and development, not least when I was in a relationship and the support and love we received was absolutely overwhelming. I'm my YouTube and Internet family forever grateful for that. That’s why it is so important that everyone, regardless of sexuall orientation, participates, supports and shows engagement for Stockholm Pride and EuroPride. Everyone can do something for everybodies right to love whoever they want, says YouTube profile Jakob Andersson. Even though Sweden today is one of the world’s most HBTQ-friendly countries, we still have a long way to go. In addition, we do not go to the parade for just our own sake, but we also go for all who is no longer with us or who don’t have the opportunity, is one of the things that are brought up in the film. SplayOne also invites other people to tell their story or reflections with the hashtag #därförgårjag. The EuroPride festival is held in Stockholm between 27/7-5/8 and in Gothenburg 14/8-19/8. - For us at Splay, it went without saying to join as a partner in EuroPride, as we always stand för people’s equal value and the importance of getting to be yourself, says Anna Hammerlid Tollesson, land chief at SplayOne. - We are happy for the collaboration with SplayOne and we hope that it will result in that more people dare to be themselves, says Alf Kjeller, Project Manager EuroPride 2018. Anna Hammerlid Tollesson, land chief at SplayOne.